Want some old school, off the radar fun? Try June Mountain. I’m sitting here with a huge smile on my face. 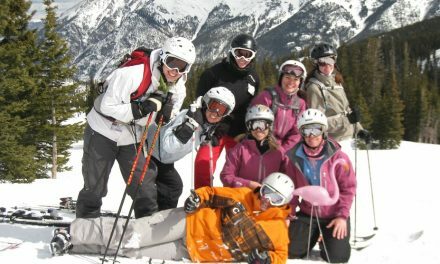 We just wrapped up this year’s annual gathering for members of TheSkiDiva.com, and as usual, it was an amazing experience. This year we met at Mammoth Mountain, and a week of good fellowship, great skiing, and 70 inches of fresh powder made it a trip I’ll never forget. But for me, the icing on the cake was a day spent post-gathering at June Mountain, half an hour up the road. And though it’s owned by Mammoth, it couldn’t be more different. 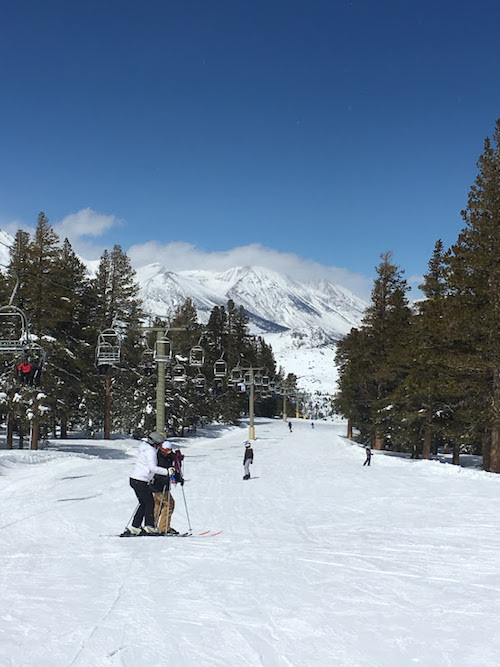 For one thing, it’s a lot smaller: 1,500 skiable acres vs Mammoth’s 3,500. And it’s at a lower elevation, so it gets less natural snow: June averages 250 inches per year, as compared to Mammoth’s 400. But the biggest difference is the ski experience, itself. 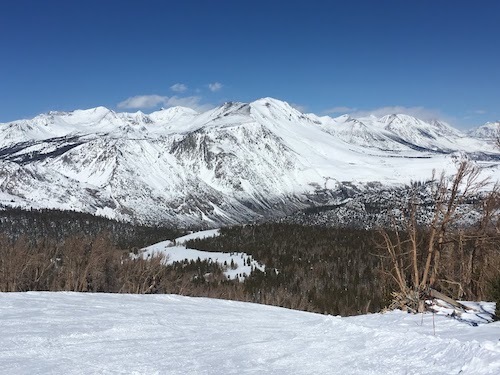 On a Saturday a few days after a big dump, when weekend crowds were converging on Mammoth like ants on a picnic lunch, June was uncrowded, unhurried, and perfectly divine. To put it simply, I loved it. How much? If I could, I’d wrap it up and take it home with me. Why? Two main reasons. For one, the aforementioned vibe. June is a chill place. 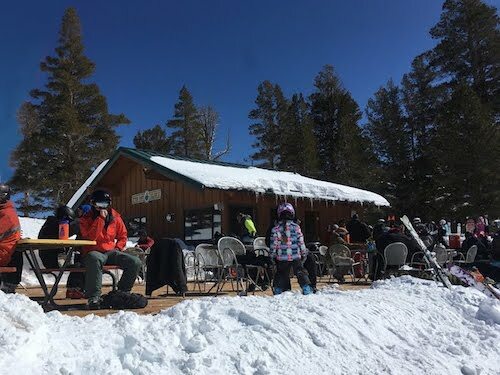 Even though it’s owned by Mammoth, it has less of a corporate feel than its parent resort. It’s more welcoming. More laid back. Less crowded. And it’s incredibly family friendly (kids under 12 ski free!). Sure, some of the lifts are slow. But you’re not there to book run after run after run. You’re there because of its character. 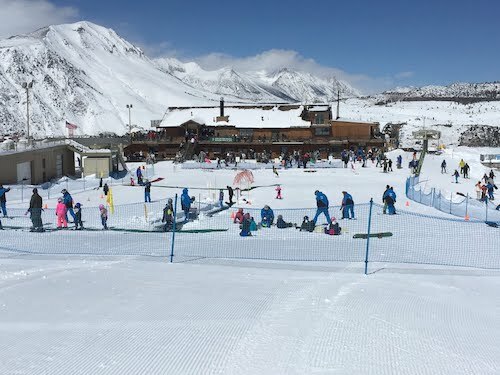 June is closer to the soul of skiing than a large corporate ski resort. It speaks to me. I don’t care if it’s not the gnarliest place around. It’s just plain charming. The other thing I love? The scenery. It’s gorgeous. No matter where you look, there’s one spectacular view after another. My pictures don’t do it justice, but I’ll post a few, anyway. Things haven’t always gone smoothly for June. Opened in 1962, June was purchased by Mammoth in 1986. But poor profits led Mammoth to close the resort for the ’12-’13 season, potentially for good. Community action turned things around, and June re-opened the next year. 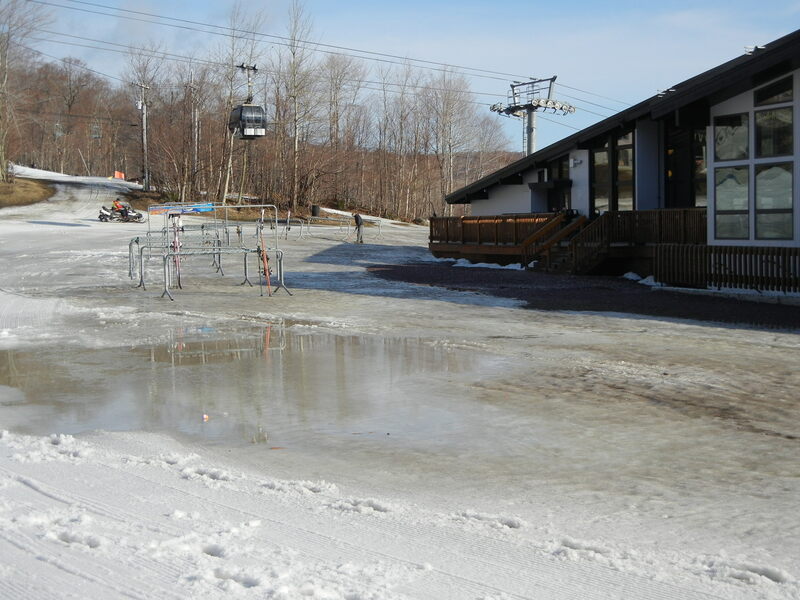 It began to position itself as a more family-friendly destination with lower lift prices and a greater emphasis on beginner and intermediate skiers. I, for one, am glad it’s there. • June consists of two peaks: Rainbow Mountain, with an elevation of 10,040 feet, and June Mountain, with a peak of 10,090 feet. 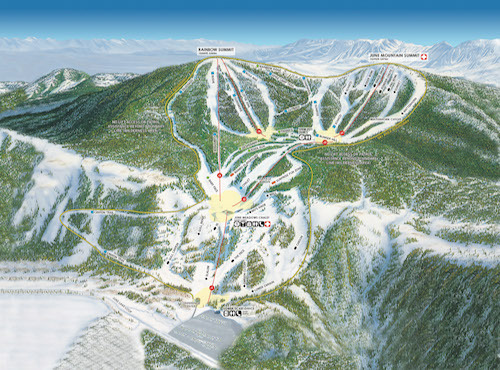 • There are 41 named trails and 2 terrain parks. • The trails are 16% beginner, 40% intermediate, 26% advanced, and 18% expert. • June is on the IKON pass for ’18-’19. • Number of lifts: 7. Two quads, 4 doubles, and 1 carpet. 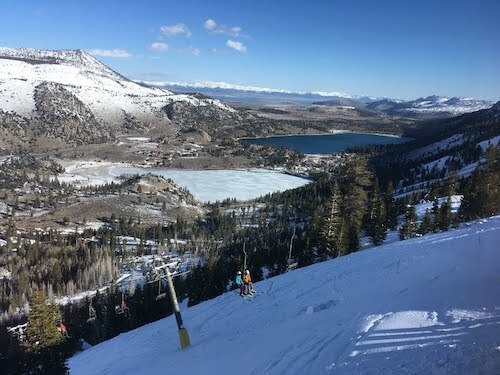 • June has an open-boundary policy so you can duck the rope and ski wherever you want. So what’d you think, Ski Diva? Most definitely, two ski poles up. Sure, ski Mammoth. It’s a great mountain. But for a different sort of experience, don’t miss June. 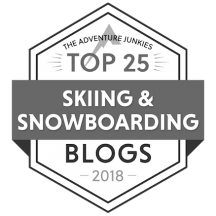 PreviousDear Ski Diva: Which pass is best for me? NextHow to survive spring skiing. Mountain Riders Alliance: Big on Mountains, Small on Infrastructure. Lift Ticket Deals For Ladies. I’m so glad to hear you loved June! It was the perfect day to go there.